Now our first weekend is behind us, we’re looking forward to opening our doors to the Sylva Wood Centre again next weekend. We will be open from Saturday 26th to Monday 28th, from 1000 to 1700. Come and learn to make some shelves to your design, shape and size, which you could use for books, shoes, clothes, tools or much more besides in the company of women. 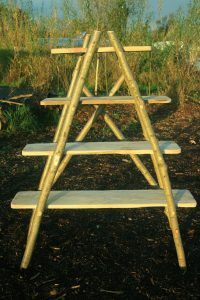 During the day, you will learn to use common hand tools such as drills, knives and saws to transform ash poles and larch boards into some shelves. You will learn the basic principles of green woodworking and leave with the skills to tackle more green woodwork projects at home. 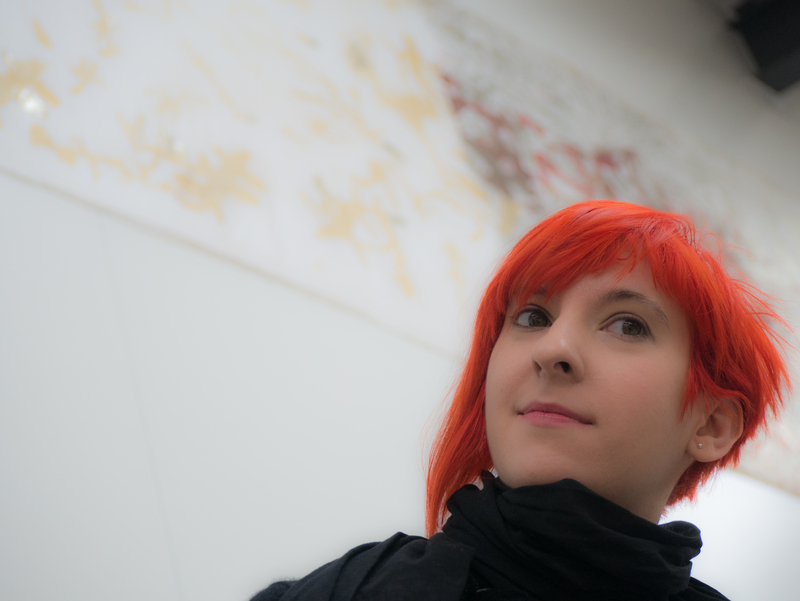 The course is aimed at those who self-identify as a woman. Suitable for beginners / no woodworking experience necessary! Amy and FFion crossed paths at the Cherry Wood project, where they did an apprenticeship in green woodworking and woodland management. 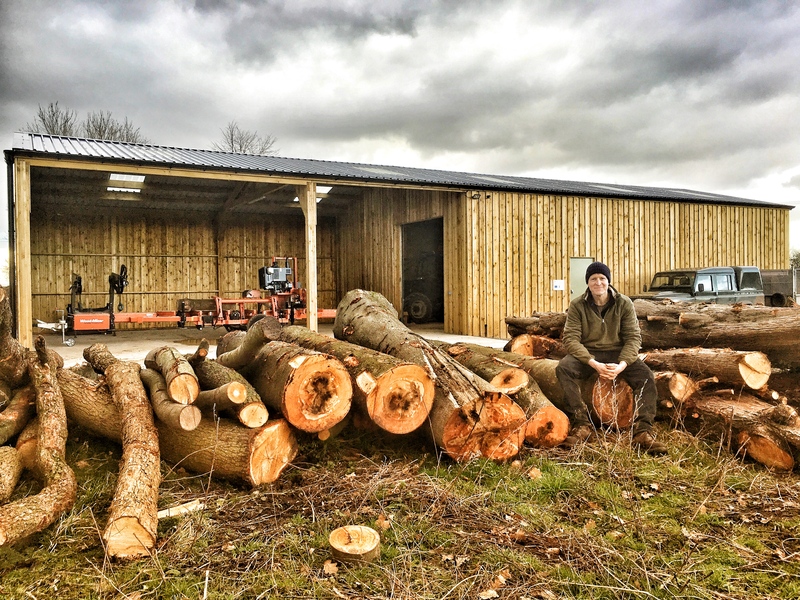 Ffion is a green woodworker and builder based in the bristol area. She uses traditional hand tools and techniques to create beautiful and functional items.She cuts her own materials or uses local sawmills supplying British timber, and likes turning bowls. Last week we said farewell to Paul Sellers and the team at Rokesmith, who have built up an incredibly successful business over the last two years. Paul Sellers and his son Joseph moved into a small unit at the Sylva Wood Centre two years ago. During their time with us they took on several new staff members, and the company expanded their online tutorials, published a book, and offered several woodworking classes at the centre. 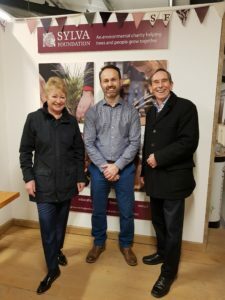 We were delighted to include a talk from Paul in our inaugural WoodWords event in 2016, while the company sponsored a number of plots in the Future Forest. In a generous gesture, the team have made a short film to reflect upon their time with us at the Sylva Wood Centre, featuring interviews with a number of the craftspeople. We wish Paul and his team every success in their new larger unit, just a few miles away, and look forward to future collaborations. 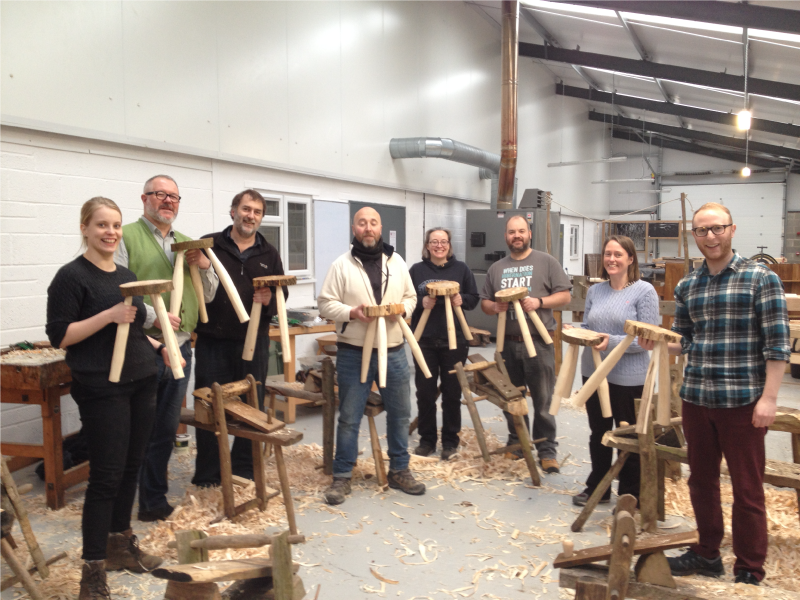 Following the sell-out success of this course last time, we are pleased to offer a new one-day course: learn how to make a green wood stool. Working with green wood using simple hand tools, by the end of the day you will make a ‘basic’ three-legged stool under the expert tuition of green woodworker Peter Wood. Learn about different tree species and understand why different woods are suitable for different tasks, how growth effects its use, and look at wood suitable for cleaving. Learn how to cleave wood. Learn basic axe work to rough shape the stool legs. Use a shaving horse, drawknives and spokeshaves to shape three stool legs. Shape a simple stool seat using planes, inshaves, travishers and spokeshaves. There will also be a pole lathe for participants to ‘have a go’ at turning as time allows. 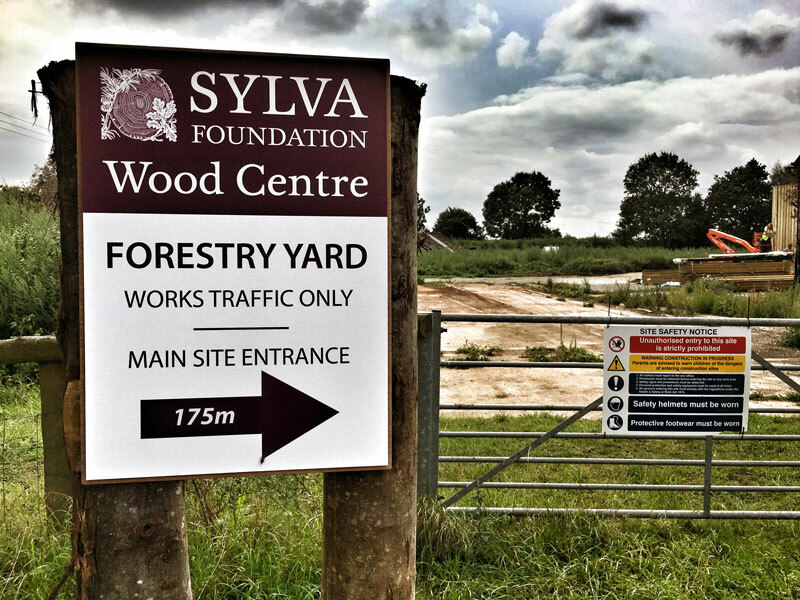 Sylva Foundation is delighted to announce the opening of the Forestry Yard at the Sylva Wood Centre. The Forestry Yard will be occupied and run by Face North Forestry, a local and expanding forestry contracting company. 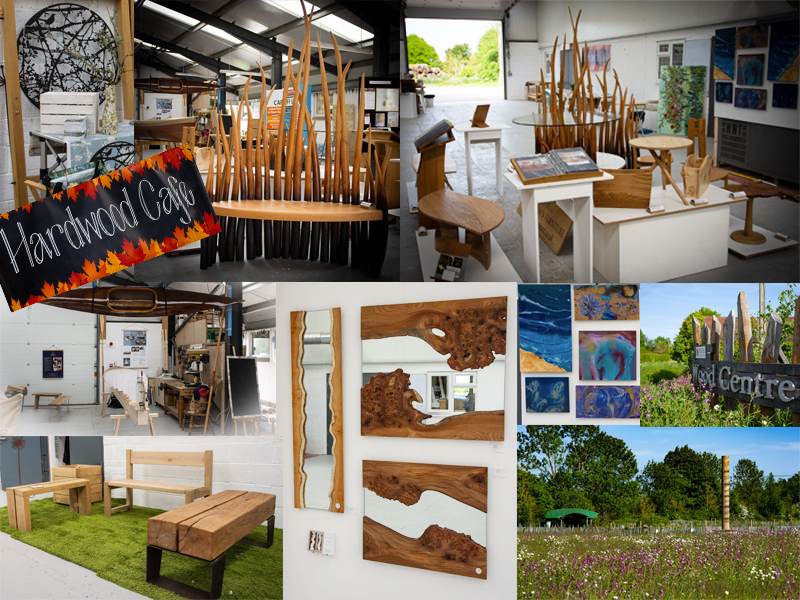 The Sylva Wood Centre is a growing hub of wood-using businesses: currently 13 wood-based businesses operate from the site; from boat builders, to woodcarvers and fine furniture makers. 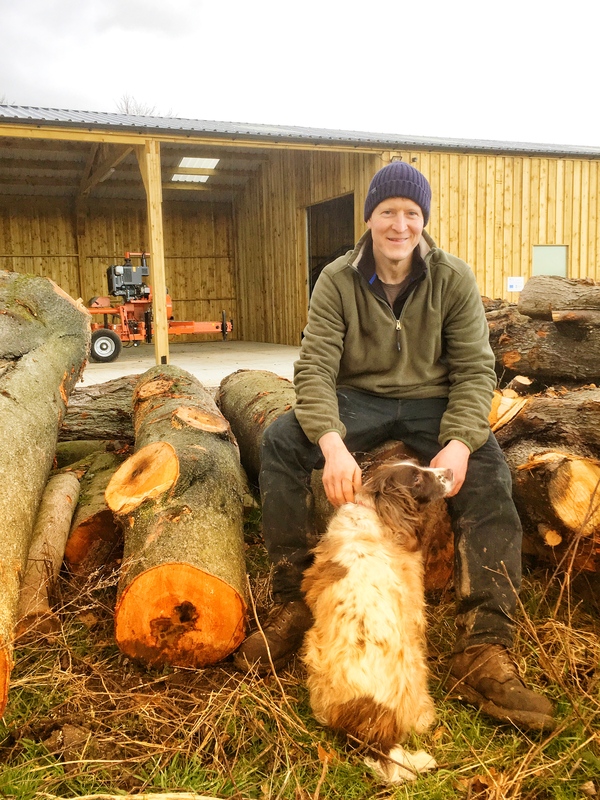 The focus of the Sylva Wood Centre is to support the growth of wood-based businesses and in particular the use of home-grown timber. The addition of the Forestry Yard will help the Sylva Wood Centre to achieve this last goal, shortening the supply chain between woodland and end use. Thanks to a Countryside Productivity Grant, Face North Forestry purchased a new mobile sawmill. This will allow the business to select timber to be milled, which may have previously been used for firewood, adding value and locking up carbon for the long term. This timber will be available for use by the businesses at the Sylva Wood Centre; in fact Face North Forestry are already collaborating with two of the businesses. Grants of up to £100,000 are available to community groups, small businesses farmers and foresters for projects that support the rural economy. The Oxfordshire LEADER fund aims to support a wide range of activities in the countryside such as assisting local small businesses, supporting local heritage and cultural events, attracting tourism and visitors increasing foresters and farmer’s productivity and helping to diversify services. Contributions are available for capital costs such as building work, equipment and for projects located in the Oxfordshire LEADER area until September this year. If your project is eligible, you can contact Sophie, programme manager, on 01235 422245 or email Oxfordshire.leader@southandvale.gov.uk for further guidance. A beautiful oak sculpture — one of 11 to be located across the UK — was unveiled at the Sylva Wood Centre in Oxfordshire on 18th November to celebrate the new Charter for Trees, Woods and People. 2017 has been a momentous year for our trees with the launch of a new Charter for Trees, Woods and People on 6th November. Launched to coincide with the 800th anniversary of the 1217 Charter of the Forest, it comes at a time when our trees and woodlands are threatened by pests and land-use change, while society is ever more aware of how important trees are to life on Earth. Oxfordshire-based environmental charity Sylva Foundation has been active at the heart of the national campaign leading up to the launch of the new Charter for Trees, Woods and People. It helped gather stories from hundreds of woodland owners across the country, and hosted the creation of a collection of sculptures to commemorate the moment. 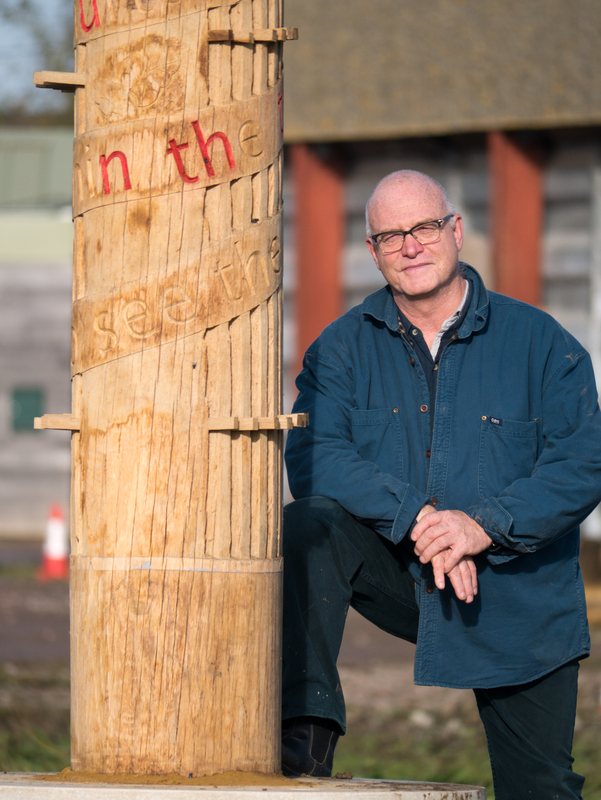 At the Sylva Wood Centre in south Oxfordshire, one of its resident craftspeople, sculptor Simon Clements, was commissioned by the Woodland Trust to create 11 ‘Charter Poles’. 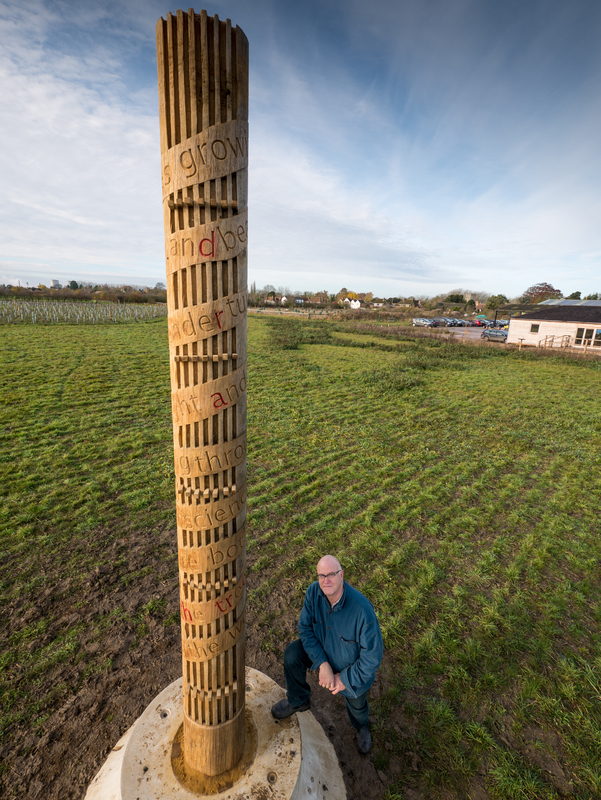 Each sculpture or ‘Charter Pole’ features one of the 10 Charter principles, and will be unveiled in locations across the UK, from Edinburgh, Belfast, and Cardiff, to Alder Hey Hospital in Liverpool. The 11th and ‘Champion’ pole was at the centre of the launch celebrations held at Lincoln Castle on 6th November. Before the unveiling the sculpture was hidden under a silk ‘canopy’ made by local artist Jezella Pigott with help of local schoolchildren. The schools involved were Long Wittenham CofE primary School, and Willowcroft Community School in Didcot. 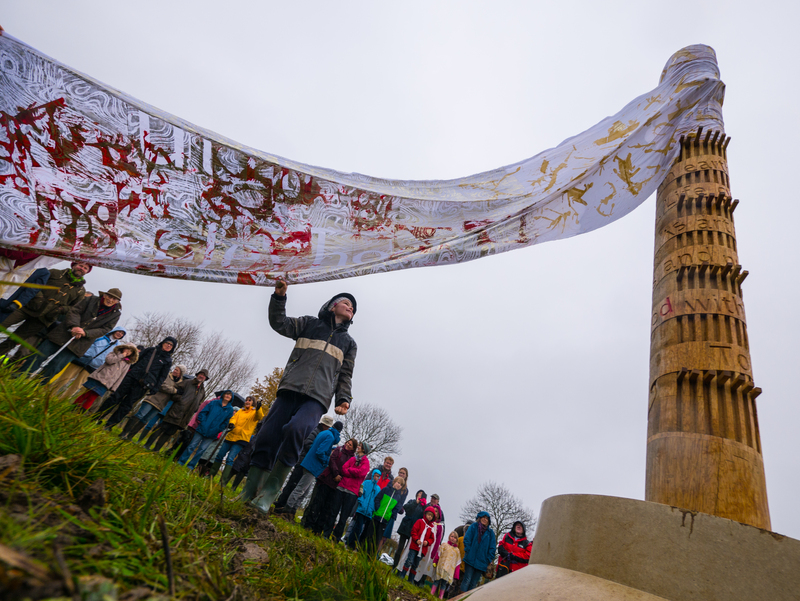 The canopy was unwrapped by Woodland Trust CEO Beccy Speight, with the help of the children, to reveal the Charter Pole for the first time. More than 70 organisations from across multiple sectors have joined forces to create a new Charter for Trees, Woods and People that will guide policy and practice in the UK. We believe the people of the UK have a right to the many benefits brought by trees and woods. The new Tree Charter was launched on 6 November 2017, to recognise, celebrate and protect this right. In this new one-day course learn how to perform guitar ‘set-ups’ so that your guitar sounds and plays at its best. 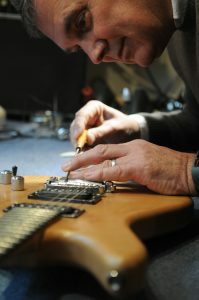 The course is run with expert tuition by local luthier Steve Kendall. All types of guitar catered for: acoustic, electric, and bass. Steve Kendall has been fascinated by guitars since early childhood and he made his first electric bass guitar at the age of 14. 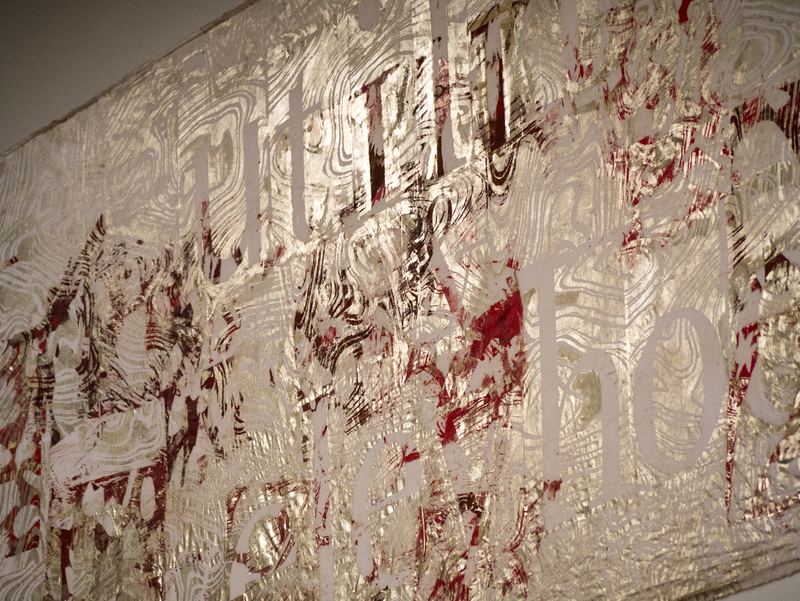 He began learning how to make instruments properly with a lute maker in the ‘80’s. Since 1993 he has repaired, improved, or made guitars and basses for musicians from ‘bedroom-only standard’ to famous professionals. For the last 15 years, he has worked from his stone-built workshop in the Oxfordshire village of East Hanney. 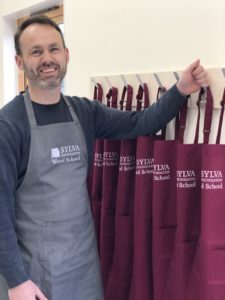 We’re pleased to welcome Matt Estlea as the latest Rycotewood craftsperson-in-residence at the Sylva Wood Centre. Woodworker, designer and creator Matt Estlea takes over from Jan Waterson (2016-17). 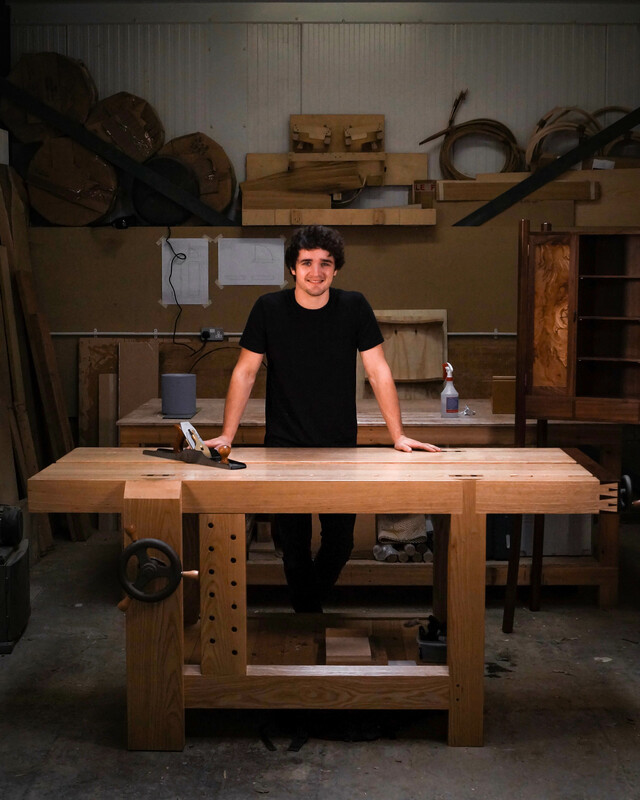 Instead of following the traditional approach of making a living from furniture making, Matt has begun exploring the potential of mixing his interests, woodworking and videography, into something that builds an online brand for himself. He runs build-alongs, tutorials and ‘Tool Duels’ on YouTube drawing from both his 5 years experience at Rycotewood, and being an employee at Axminster Tools & Machinery for 4 years. This has given him a unique position in not only understanding the specifications and selling points of tools, but also how to use them to their best potential in a practical environment. Work has started constructing our new FORESTRY YARD at the Sylva Wood Centre – thanks to support from Oxfordshire Leader funding. We’ll soon be welcoming a forestry business to the yard, complete with a mobile sawmill and firewood processor (also supported by Leader funding). Meanwhile a joinery business, recently moved down south from Scotland, is refurbishing the old pigsties nearby as it future home. The site which was derelict just three years ago already supports more than 30 local people. We can’t wait to see the yard stacked with locally-sourced timber from well-managed woodlands.